1. 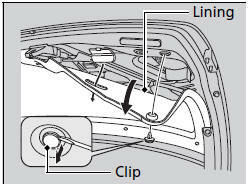 Remove the clip in the trunk using a flat-tip screwdriver. 2. Pull out the lining. 3. Turn the socket to the left and remove. 4. 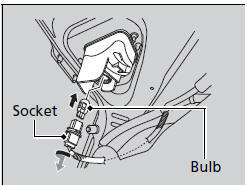 Remove the old bulb and insert the new bulb. 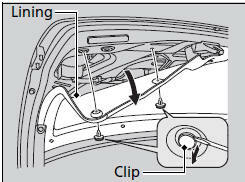 Have an authorized Acura dealer inspect and replace the light bulbs.